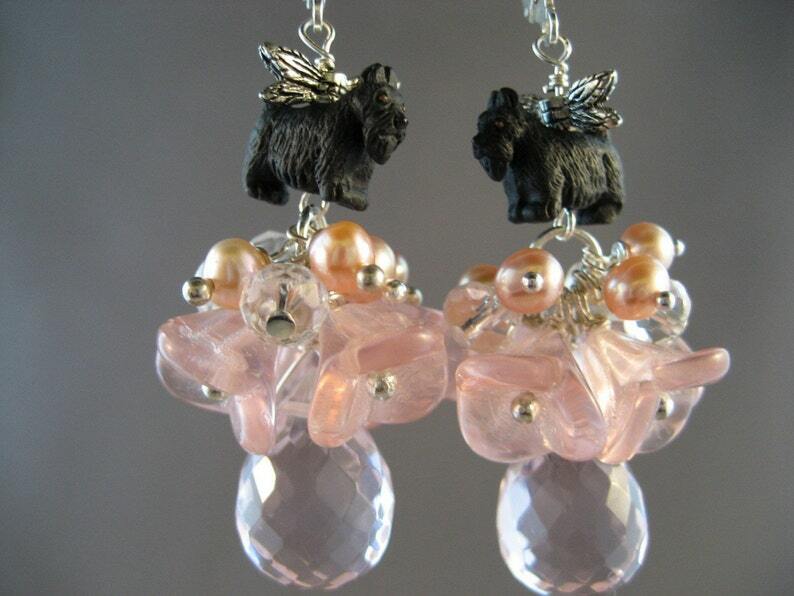 Silver winged 14mm 3-D black Scottie fairies ride on ruffled beds of pink 12mm Czech glass blossoms, 6mm faceted clear white Topaz and 5mm pink freshwater Pearls above fabulous 12x18mm AAA Rose Quartz faceted briolettes. They dangle and dance from sterling silver leverbacks. Total length from the bottom of the leverback is 1 3/4” (44mm). Feminine and forever young in Never Never Land.